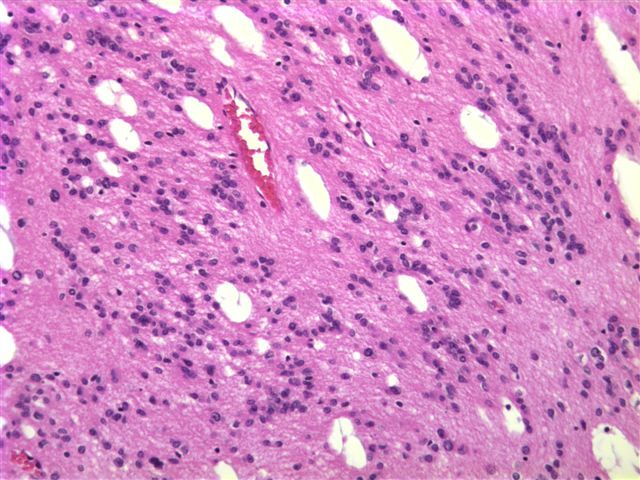 To subscribe or unsubscribe, email info@PathologyOutlines.com, indicating subscribe or unsubscribe to Case of the Week.� We do not sell, share or use your email address for any other purpose.� We also maintain three other email lists: to receive a biweekly update of new Pathologist jobs added to our Jobs pages, to receive a biweekly update of new Pathology related (but not Pathologist) jobs added to our Jobs pages, and to receive a monthly update of changes made to the website.� You must subscribe or unsubscribe separately to these email lists. This email is sponsored by Pathology Service Associates, LLC (PSA).� Visit PSA at the American Pathology Foundation Spring Conference, March 1-2, 2007. Is Your Pathology Practice Seeking to Gain a Competitive Advantage? PSA supports visionaries and leading pathology practices seeking to gain a competitive advantage within their markets. Formed exclusively for pathologists by pathologists, PSA is a leading provider of Pathology Billing and Collection Services, Pathology Practice Marketing Support, and Pathology Business Support Services.� For further information, visit http://www.psapath.com. 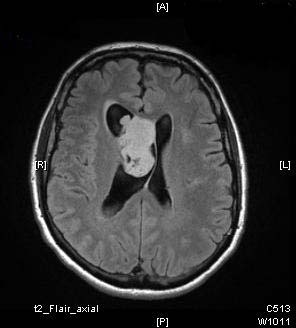 A 57 year old man had a history of worsening headache with no focal neurologic signs.� An MRI showed a 4.5 cm heterogeneous intraventricular mass causing obstructive hydrocephalus.� The radiologic impression was a central neurocytoma. 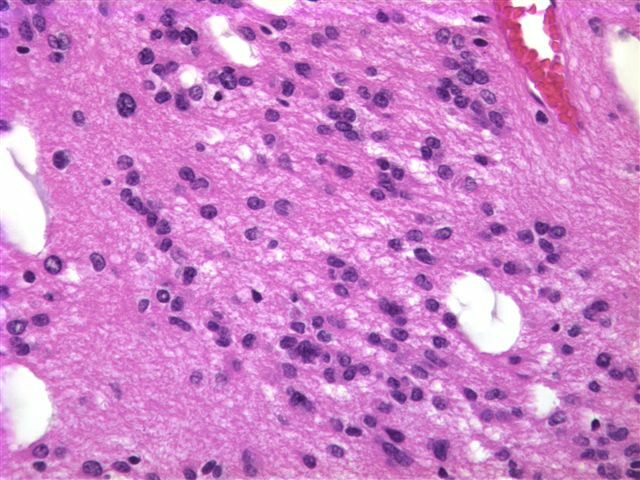 Subependymoma is a low grade CNS glial tumor of middle-aged to elderly adults with a distinctive appearance and benign behavior (WHO grade I of IV).� It usually occurs in the fourth ventricle or lateral ventricles, where it is often an incidental finding at autopsy, or in the spinal cord, where it presents as a myelopathy. 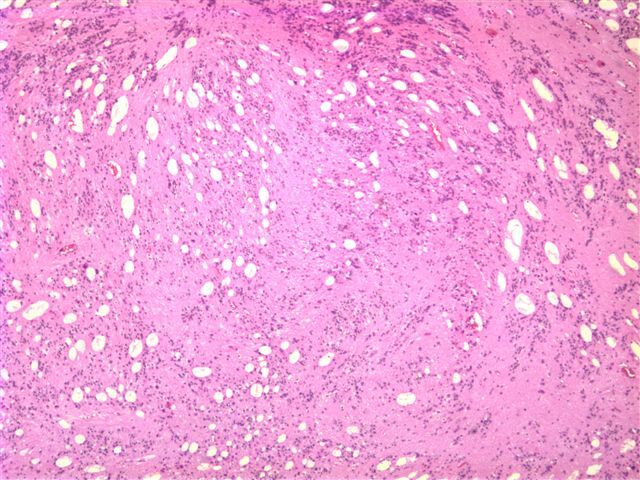 The differential diagnosis includes tanycytic ependymoma (grade II of IV), which also has astrocytic features, as well as distinctive zones either with abundant nuclei and relatively free of nuclei. Excision is usually curative, although radiation is occasionally given.